Concierge service is a person employed to provide security and attention to the lobby of the building. Situated at the entrance in the lobby, lobby attendants/concierge are typically seated behind a desk. 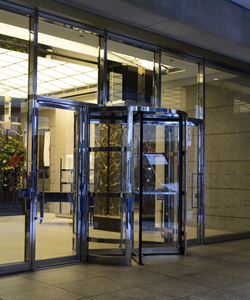 Concierge service in a commercial building maintains the lobby and other administrative duties. The administrative duties of the concierge vary from maintaining guests, ordering birthday cake, and managing deliveries. A concierge will save tenants time and frustration. The concierge is situated in-building and acts as an extension of the property management team. Tenants have access to an immediate member of the team for a rapid response and solution to any requests. Many top class-A buildings in Manhattan are including concierges and even a condensed concierge. The growing number of buildings offering concierge services are a ploy to grab the attention in a market with many competitors. Although, concierge services are very beneficial to the tenants, owners, and property management team. To be present in today’s market, class A buildings must constantly improve and create a welcoming environment. Concierge service is a great way to create a welcoming environment while staying cost effective. In this highly competitive market, class A buildings can longer rest on their reputation. Buildings are undergoing modernizations and renovations to maintain their status. Gorgeous lobbies, high-speed elevators, and loft ceilings are some of the features attracting tenants. Furthermore, the addition of an on-site concierge humanizes the experience and provide the utmost service to tenants. In New York City, concierge services are rare in many commercial buildings. The buildings likely have someone in the lobby mostly acting as the doorman. The employee acts mostly as a security guard or lobby attendant. Concierge service offers personalized service for added convenience and efficiency. Taking the example of luxury from hotels and residential, a corporate concierge is a useful cost-effective addition. 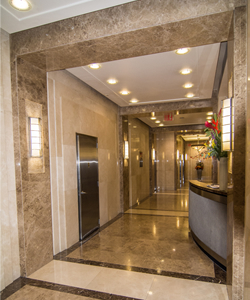 Whether you are looking for a full-service building or lobby attendant, a class A building offers amazing amenities. While you search for your new office, we would be happy to assist in finding the perfect office for you.